25 episodes! Thank you all for listening and helping us grow the ProductivityCast community! As we grow and change in our personal and professional lives, we should all consider if the way you see your “next actions” (the granular, physical tasks we take to move projects forward, a la Getting Things Done by David Allen). If we approach next-action crafting in time chunks smaller or larger, or based on different contexts, than you need to accomplish them, then we’ll see ourselves being less effective. 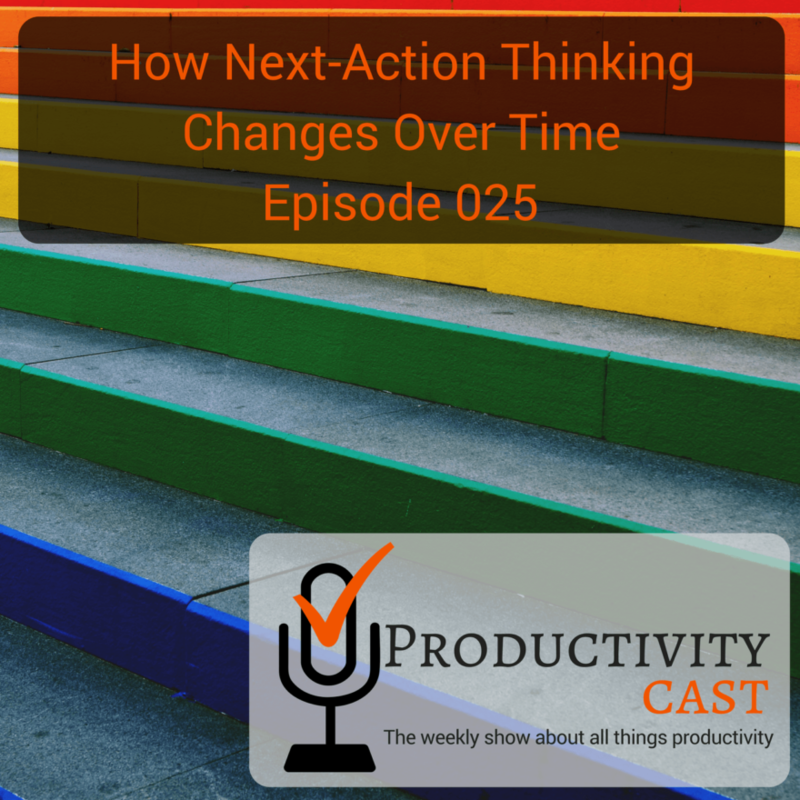 In this cast, the ProductivityCast team addresses the issue of priming ourselves to appropriate next-action thinking in our productivity systems. Enjoy! Give us feedback! And, again, thanks for listening! Francis: The idea of facing changing constraints as task load increases, and the need to see a change is also mentioned in this article: What are the greatest task management tools, and why?